When I go grocery shopping I usually let the boys pick out one food item they really want. Cereal, or some fruity nasty yogurt, fruit snacks, pudding......You know something that makes them feel all warm and fuzzy inside, like mother must really super love me cause she is buying me Lucky Charms or whatever. The other day I just had Ry with me and he just wanted a bottle of lime juice. It was so random and cute and it totally made me like him even more cause limes are well green! I love green. I love limes! I love the smell of them and that they remind me of my grandmother drinking coke and vodka at 8am with a lime squeezed in it. I'm pretty sure that if reincarnation were real.. 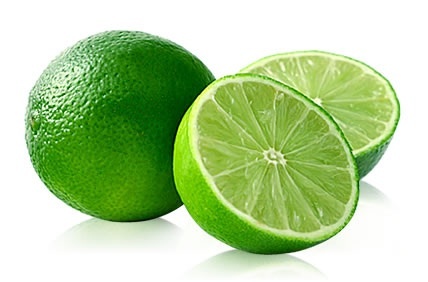 I would be a lime. Yup, I think I would. Just approach it with SEVERAL moments of silence. Its much better as opposed to the alternative approach if you know what I mean. Have a super splendid weekend!